Pharmacokinetic and Pharmacodynamic studies are often needed in early drug development to inform efficacy studies. Biomodels offers non-GLP services to collect and analyze these data sets as quickly as possible. Pharmacokinetic studies are performed to examine the absorption, distribution, metabolism, and excretion of a drug. They are used primarily to determine how quickly drugs are absorbed into the bloodstream and then cleared following administration via different routes. Pharmacokinetic data is useful in formulation of novel compounds and in determining appropriate dosing schedules. Sampling time points are selected based on client needs and expected compound stability. Blood and tissue samples are collected by trained technicians with expertise in handling timed samples. Commonly, samples are sent to the client for analysis, but if further assistance quantifying drug levels is needed, Biomodels is always happy to help. 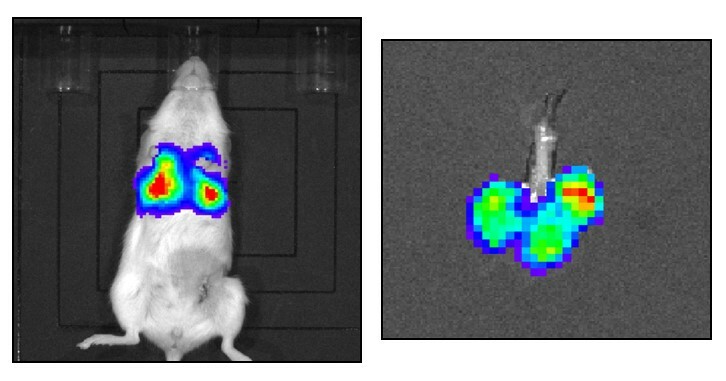 In addition to the standard endpoints listed above, Biomodels can pair these capabilities with in-vivo and/or ex-vivo IVIS imaging of fluorescent or bioluminescent labeled target compounds or cells. 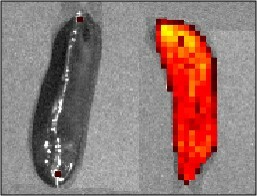 With this method, detection of the target can be done in real-time without the need to sacrifice animals or can be done in conjunction with ex-vivo imaging. Understanding the metabolism of a compound can sometimes be critical to understanding the drug’s activity and/or toxicity. For these reasons Biomodels offers pre-clinical non-GLP in vivo testing of drug metabolism and pharmacology. In addition to in vivo studies, Biomodels can also help with the analysis of potential metabolic pathways and in vitro assays of drug metabolism.